Clyde Morgan Day, 91, of Hagerstown, MD, passed away on Tuesday, August 7, 2018 in Hagerstown. Born Saturday, October 30, 1926 in Templeton, MA, he was the son of the late Calvin Day and Ina (Harris) Day. For over 20 years, Clyde worked for the Washington Star in Washington, D.C. as a route manager. In 1981, he moved to Hagerstown and worked for the Review and Herald Publishing Company until his retirement. Clyde worked full time into his late seventies and held many part-time positions, including: bus driver, truck driver, milk route driver, and a stint at the National Zoo Snake House. The zoo experience alone made for great stories, and Clyde always amused family and friends with his wonderful and detailed anecdotes. Clyde joined the United States Navy during World War II; serving two years. He received the World War II Victory Medal and the American Theater Medal. After the war, he attended Columbia Union College where he was one class shy from receiving his bachelor’s degree. 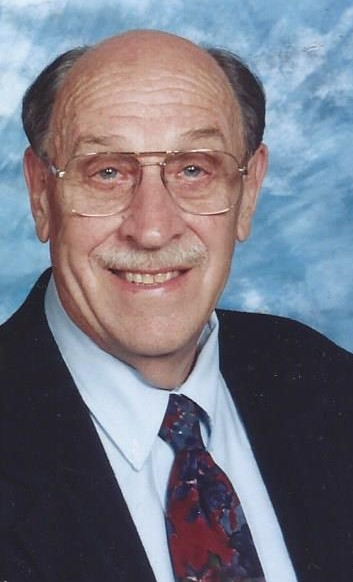 Throughout his adult life, Clyde was a member of the Spencerville Seventh Day Adventist Church. Clyde was preceded in death by his adored wife of 63 years, Joan Ruth (Savage) Day. Clyde is survived by daughter Julie Ann, son Andrew Thomas and wife Timbre, son Jeffrey Allan, and daughter-in-law Patty. Clyde is also survived by grandchildren: Morgan, Daniel and wife Rachel, Kalvin and wife Makeda, Spencer, Olivia, Stewart, Gina and Robyn and great-grandchildren: Brooke, Gavin and Isabella. Clyde was preceded in death by son Gordon Calvin. Clyde’s wish was to be buried with his wife and these wishes will be honored at the family burial plot in Templeton, MA this fall. Arrangements were made by J.L. Davis Funeral Home, Smithsburg, MD. Online condolences may be offered at www.jldavisfh.com.